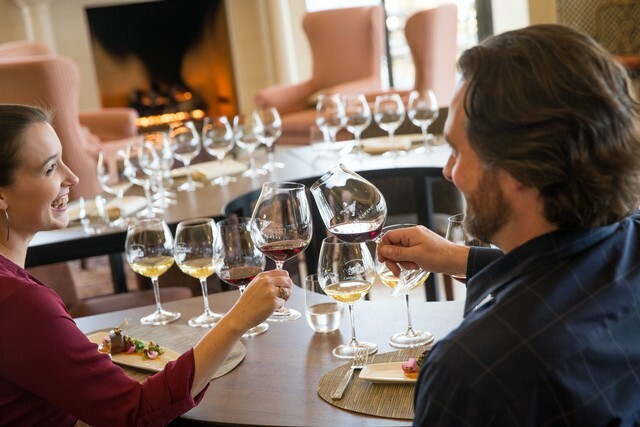 The accomplished culinary program at Domaine Serene is the premier Wine and Food offering in the Northern Willamette Valley. We serve only the freshest ingredients that best highlight our Oregon and Burgundian wines. Explore unique and exciting flavors from around the world today! This experience is limited to 12 guests and appointments must be made in advance. 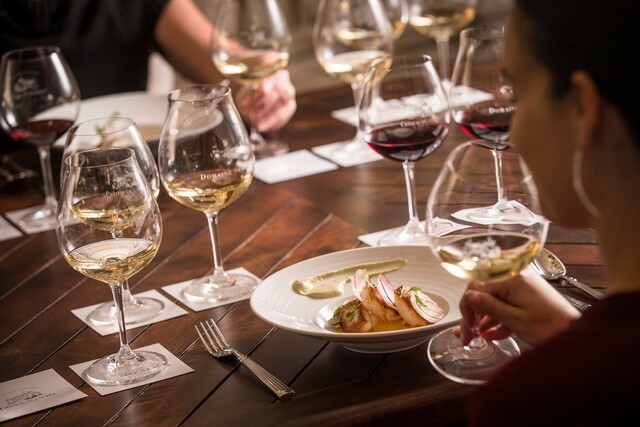 The oyster program at Domaine Serene is a truly unique experience, offering guest a rare opportunity to taste and explore locally sourced Pacific Northwest oysters alongside our world-renowned wines from Oregon and Burgundy. Enjoy your freshly shucked-to-order oysters with our housemade mignonette, created using our yet to be released sparkling wine. The combination of crisp sparkling wine along with shallots and fresh cracked pepper is the perfect compliment to our carefully selected oysters. 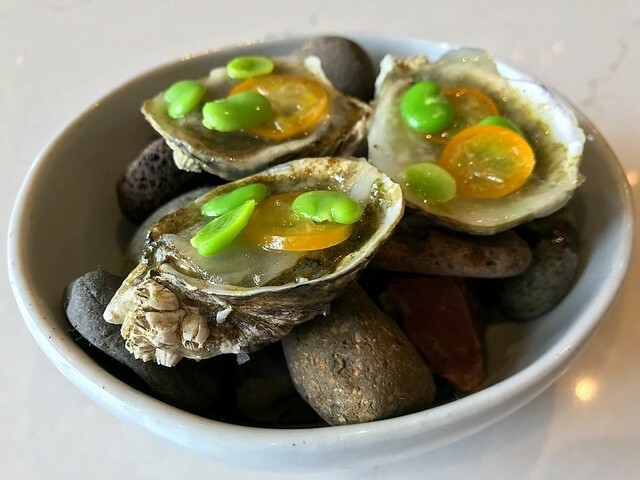 Let us take you on a culinary journey as you are transported across the world, from the Willamette Valley to Puget Sound all the way to France in a single sip of the glass and slurp of the oyster. The Jamón program at Domaine Serene involves sourcing various types of iconic cured hams from around the world. 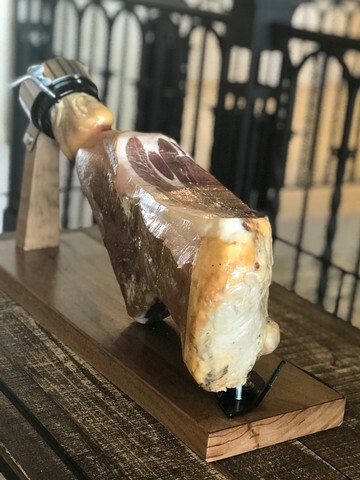 To date, we have offered three different varieties, Jamón de Iberico Belotta (Spain), Prosciutto di Parma (Italy), and Jamón Serrano (Spain). Each ham offers different and unique flavor attributes. The unctuous fat content and depth of flavor through the aging process pairs perfectly with our Oregon or Burgundian Pinot Noirs! Jamon selection will rotate on a regular basis and is served by the ounce. 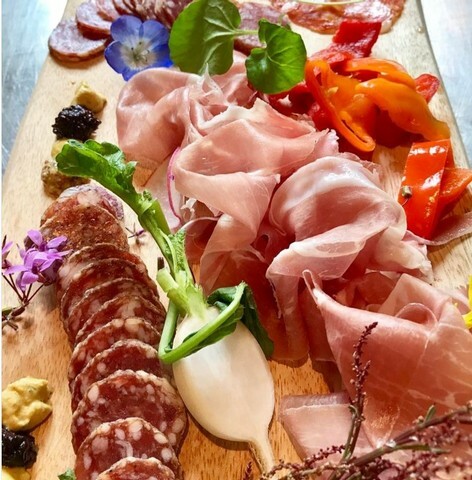 We offer a diverse selection of cheese and charcuterie carefully curated to complement our wines and served with creative accompaniments. The selection rotates on a daily basis to reflect the freshest, chef-driven ingredients.